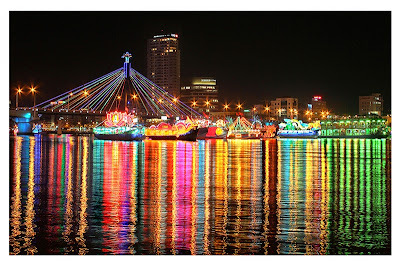 The Vietnamese city of Da Nang does not feature large on the travel map of many, but those Australians familiar with the third largest sea- and airport in Vietnam will know it as the gateway to the UNESCO-listed sites of the Imperial City of Huế, the Old Town of Hội An, and the Mỹ Sơn ruins. 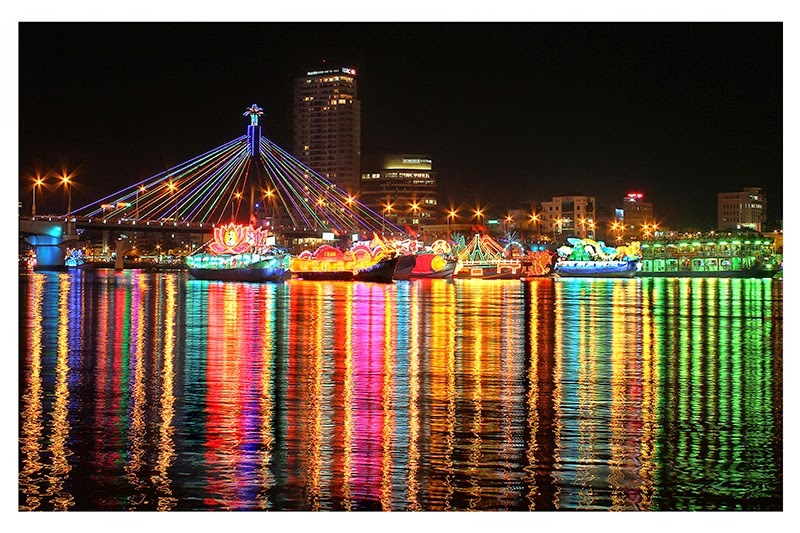 The wide Han River provides a soothing centerpiece for this burgeoning metropolis and is spanned by several modern bridges, all of which are illuminated by creative light shows including one where fire spits from the massive head of a dragon. Once the site of one of the largest and busiest US military bases in all of Vietnam and the setting for the hit TV series ‘China Beach’, reminders of the US occupation still linger in the form of aircraft revetments and base buildings around the new domestic and international terminals. Now a fresh energy fills the city. New hotels and resorts line My Khe (China) Beach, an international firework competition is run semi-annually plus one of the most ambitious (and bizarre) theme park has opened on the peaks of nearby Ba Na Hills on the site of a former French colonial hill station. The dangerous old road has been replaced by the longest non-stop single track cable car in the world (5800m). Local authorities are keen for visitors to linger longer in the city before setting off to neighbouring attractions. Infrastructure and entertainment facilities are springing up and at night the whole city takes on a Fantasia-like theme with multiple light shows all around the prominent city structures like bridges, buildings and roadways. Rod was hosted by the Danang Center for Tourism Promotion and stayed at Naman Retreat, Intercontinental Danang Sun Peninsula Resort, Sunrise Hoi An and Anantara Hoi An Resort as well as several site inspections and local restaurant meals. Please contact Rod to commission an illustrated feature on this dynamic city. This cart gone past my expectations. I am just by using this cart in several techniques like carrying groceries or carding points to the BBQ location. mac sports all terrain collapsible wagon acquire lots of things on the web and I recently utilized the cart to go and obtain all of the containers from my concierge who holds my bundles. This cart is the ideal dimension. It is far from too large or otherwise too small.